Union Dubuque F.C. 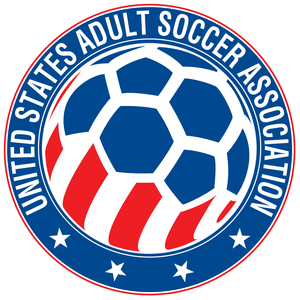 is a soccer club, currently offering an amateur men’s team. Our club was born out of the desire to inspire people to do great things through the beautiful game of soccer. As our sport grows in the United States, so too does the opportunity for more and more people to play at a higher level than has previously been possible. The mission of Union Dubuque F.C. is to inspire great things in our community. We seek to promote and grow the great game of soccer in the tri-state area through by providing a first-class fan experience, showcasing local talent, fostering exceptional player development, and partnering with local businesses. Soccer is truly the world's game. In an age where we have access to people and organizations all around the world, there has never been a better time for Dubuque to continue its diversification by expanding its horizons into the world of soccer. We seek to be the best organization that we can possibly be through our connections with the Dubuque community, partnerships with local businesses and organizations, and by being a spectacle that people love to come and support. Beyond game day, Union Dubuque aspires to be an organization that is actively involved in the community, helping people live meaningful lives in an age where so much of life can pass us by. We would ultimately like to compete and represent our great city on the national stage through qualifying for and being competitive in the Lamar Hunt U.S. Open Cup,our country's most historic competition, and the third oldest of its kind in the world. In the Open Cup, small clubs like ours have the chance to take on America's greatest: Major League Soccer teams like the LA Galaxy and Seattle Sounders. These teams may even have to travel and play here in Dubuque to progress in the competition. This is our competitive goal, but our overall vision is about much more than Open Cup glory. It's about telling the story of our city to the Midwest and to the rest of the country. For over 150 years, communities around the world have used the sport of soccer to celebrate the stories of countless people groups, as people are brought together around a simple ball game. Let's tell our story now. This is your city. This is your Union. Our club has been putting down roots in Dubuque for some time now. As we seek to represent the city, it is vital that we have a true connection with the people and history of the city. This is why the majority of the club's ownership is local (and will remain so). As we continue to grow this club, we are always seeking more partners from the community. Please don't hesitate to contact us at info@uniondfc.com if you are interested in partnering with us.